Jul 13, 2014 — by Daniel Whiteman D.M.D. There might be dozens, or even hundreds, of dentists in your area, but how can you know which dentist is right for you and your family? You could go with the first name that turns up in an Internet search, or the biggest ad in the phone book, but then you might not get the quality dental care and service you deserve. A better approach is to do some research, ask some questions, and really find out if a general dentistry expert like Dr. Daniel Whiteman at Whiteman Dental Associates is right for you. What Questions Should I Ask a General Dentist? What Dental Services Do You Offer? Your family wants a general dentist who is able to solve their individual dental issues. At Whiteman Dental Associates, we offer a range of general dentistry treatments from fillings to periodontal care for healthy gums. We also offer many cosmetic and restorative treatments including porcelain veneers and teeth whitening. Are You Able to Treat the Whole Family? Never make assumptions about a dental office’s area of expertise. If you are looking for a dentist to treat your entire family, it is always a good idea to ask if a prospective dentist practices family dentistry. The dental office of Whiteman Dental Associates is well equipped for younger patients, with a caring atmosphere and amenities to keep children and teens occupied while we work on keeping their teeth and gums healthy. Our office is also ADA compliant and outfitted to accommodate patients of all ages with special needs, ensuring that everyone is able to receive the quality dental care they deserve. Do You Offer Emergency Dental Services? Most dental issues are gradual, first caught by your dentist during a routine checkup and then solved there or at a scheduled appointment. 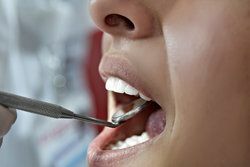 But some issues, like a chipped tooth during a sports game or a sudden abscess that can seem to appear and worsen overnight, require immediate attention - even if it’s the weekend. Does your general dentist offer emergency services after normal business hours and on the weekends? If not, you may find yourself out of luck when you need a dentist the most. What Are Your Payment Options? A general dentistry office may be the perfect fit for you in every other way, but it’s useless if it only offers limited payment options that are not compatible with your abilities. Your first order of business is to make sure your prospective general dentist is covered by any dental insurance plan you may have. If you do not have dental insurance, it becomes even more important that your dentist accepts a variety of payment options. At Whiteman Dental Associates, we accept a range of payments including check and all major credit cards, and are a member of Delta Dental and Blue Cross Blue Shield. Finding the right general dentist for your family is the first step toward a lifetime of better dental health. Contact us to schedule an appointment and find out if Whiteman Dental Associates is a good fit for you and your family.